We serve coffee and refreshments half an hour before the start of each service. Kids work and crèche are available at most of our services. Adam leads Everyday Southfields and is married to AJ, a primary school teacher. 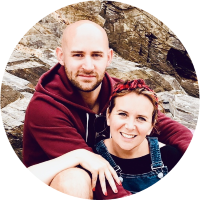 Both met Jesus and then met each other at Everyday Church and are born-and-bred south-west Londoners; meaning they have deep roots and a long-term passion for their local community! When they’re not in London, they love to spend regular time on the beach in Cornwall, along with their kids, Elijah and Bethany.